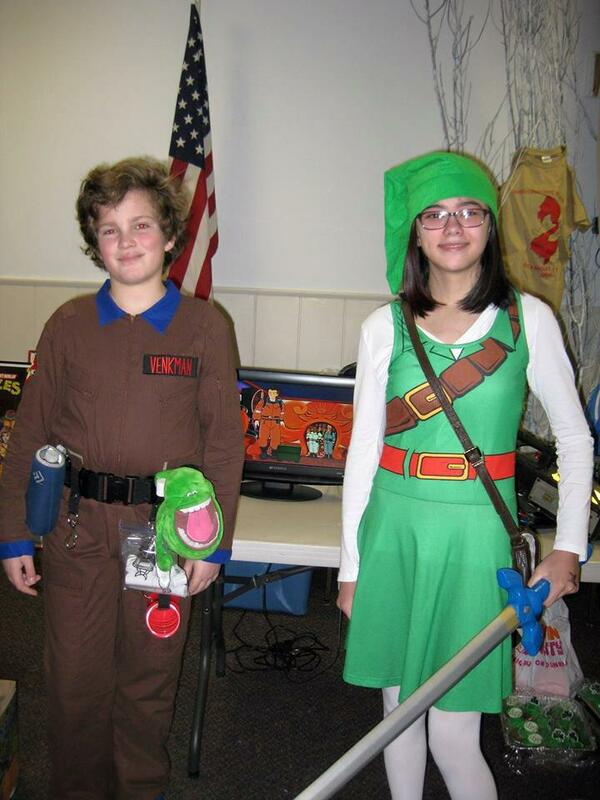 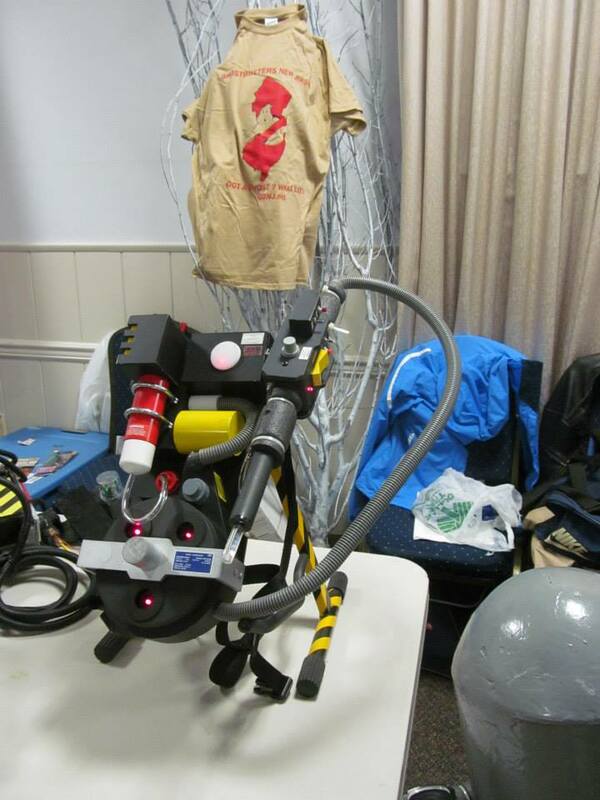 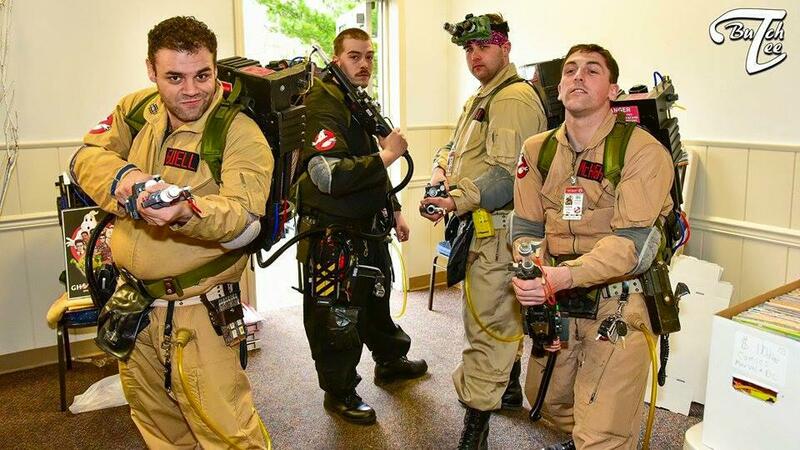 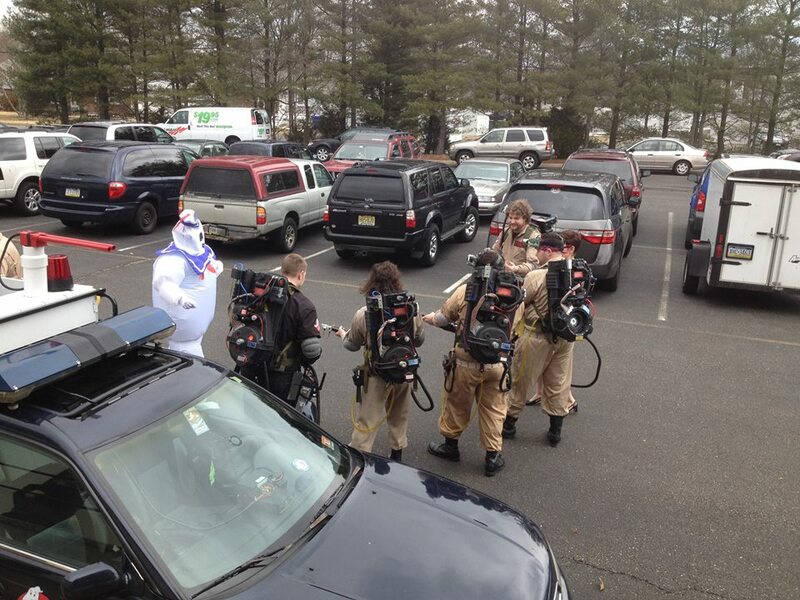 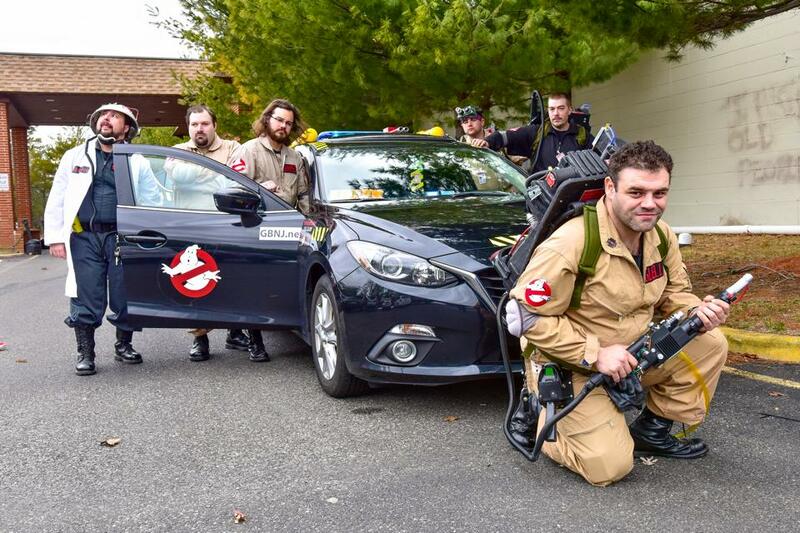 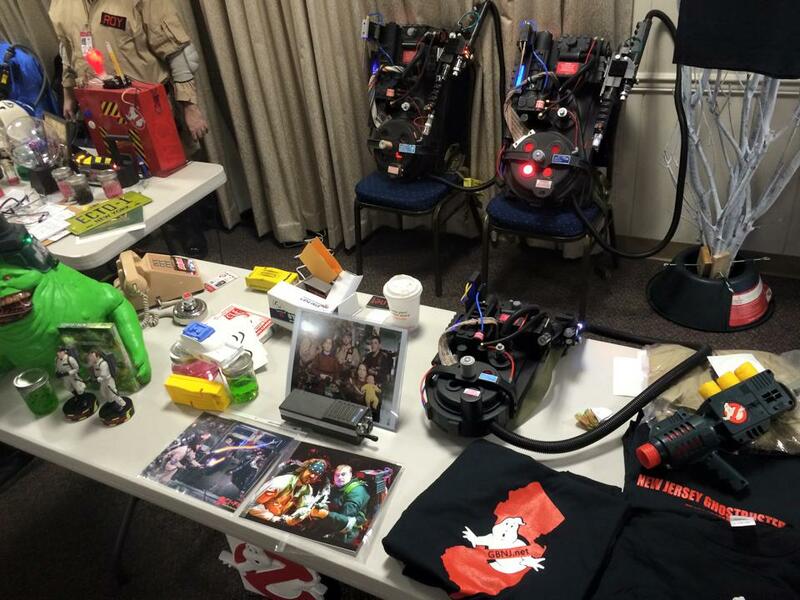 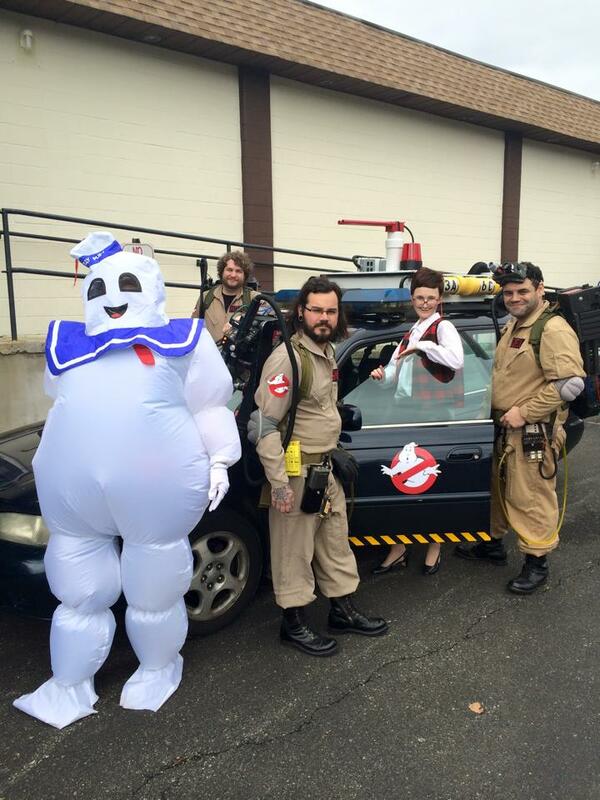 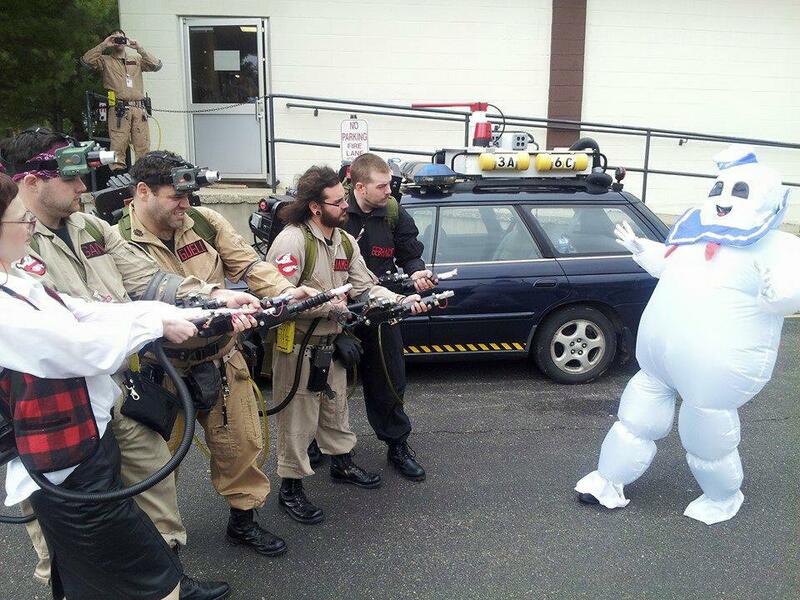 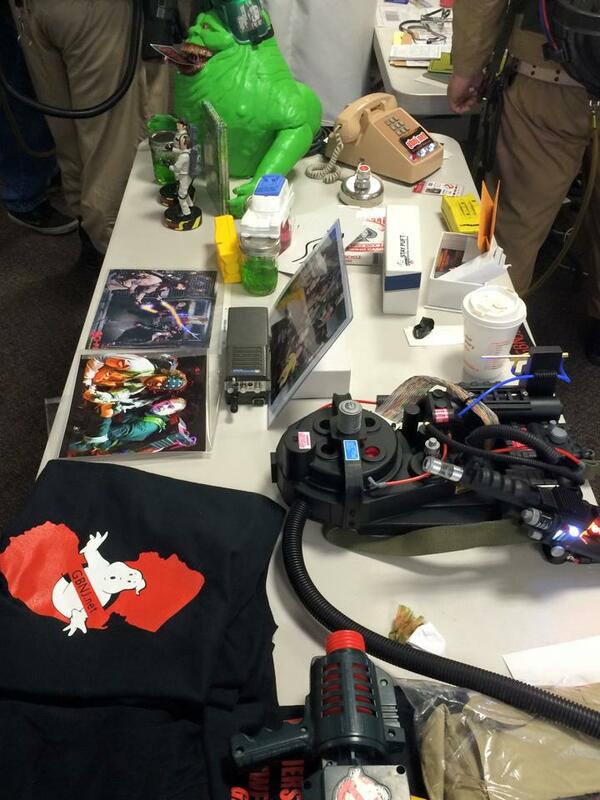 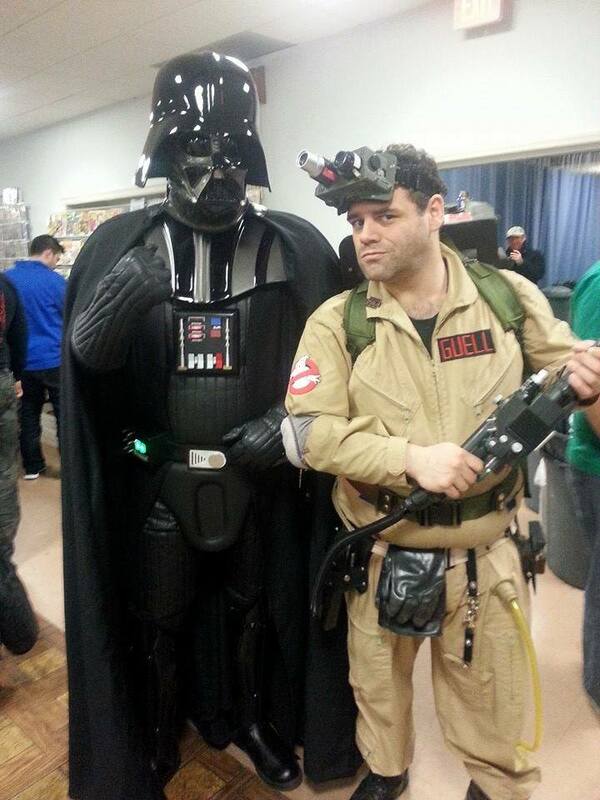 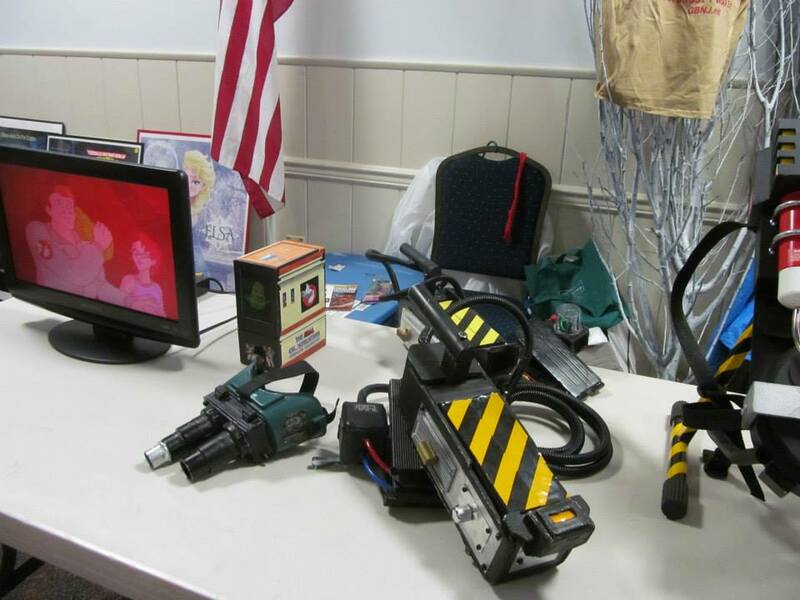 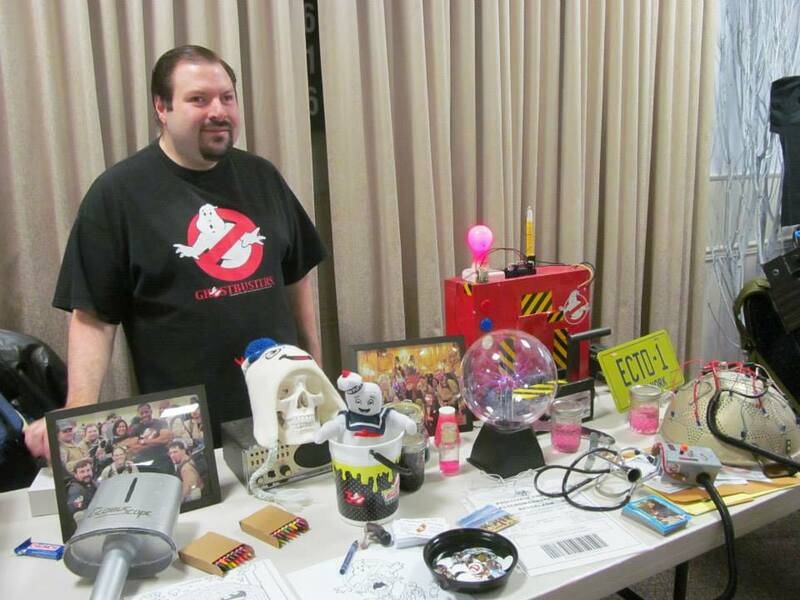 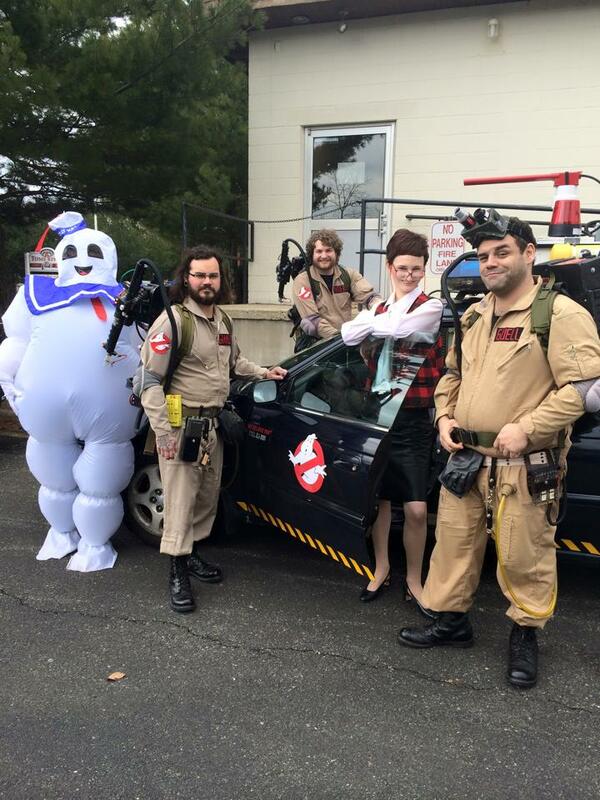 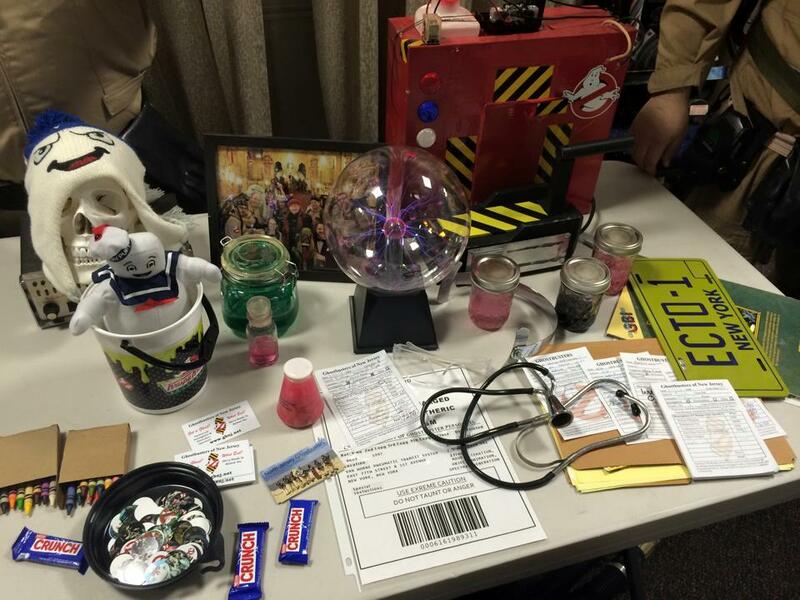 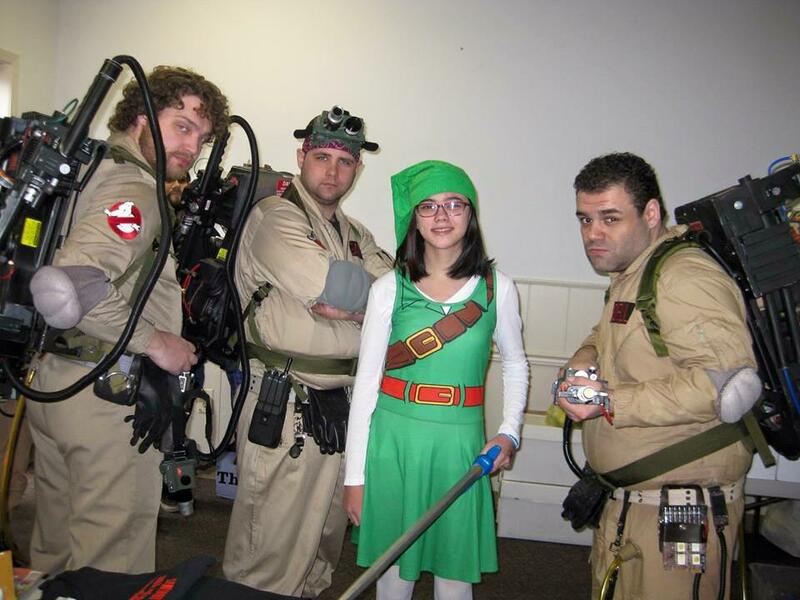 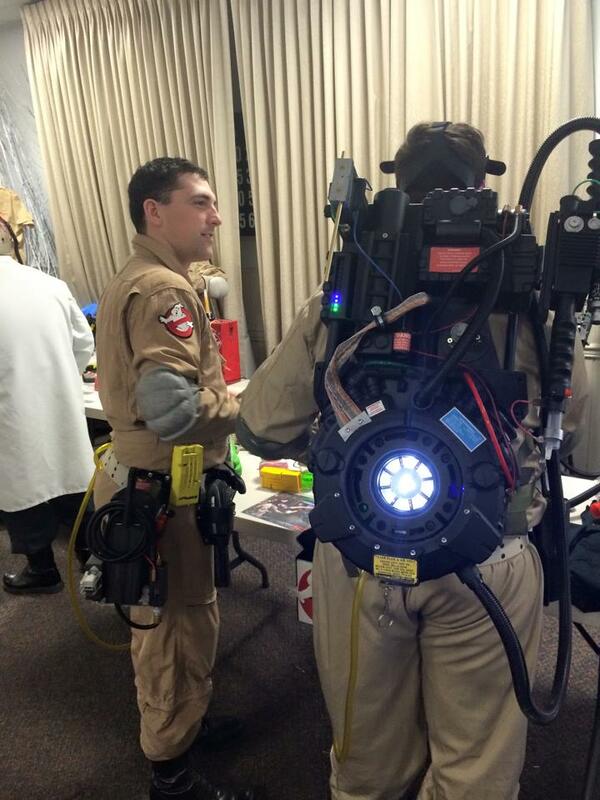 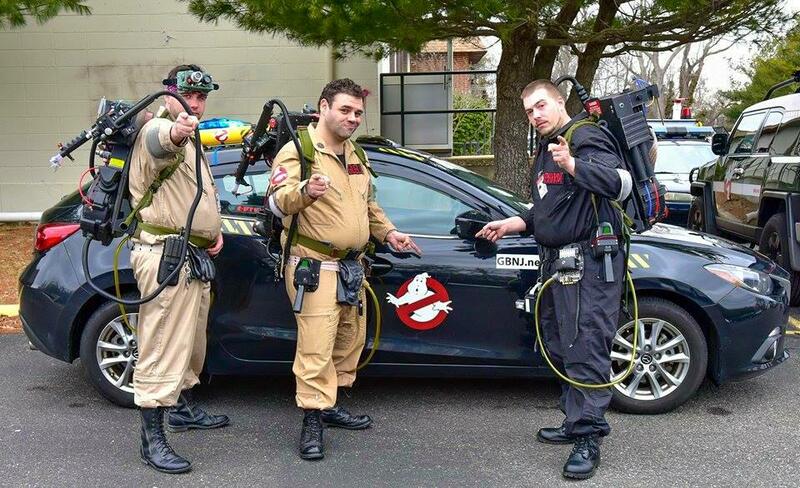 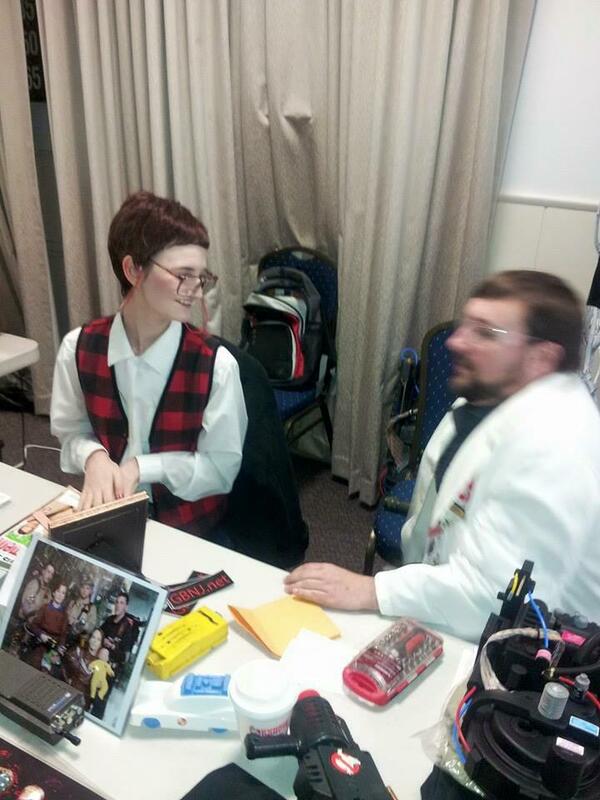 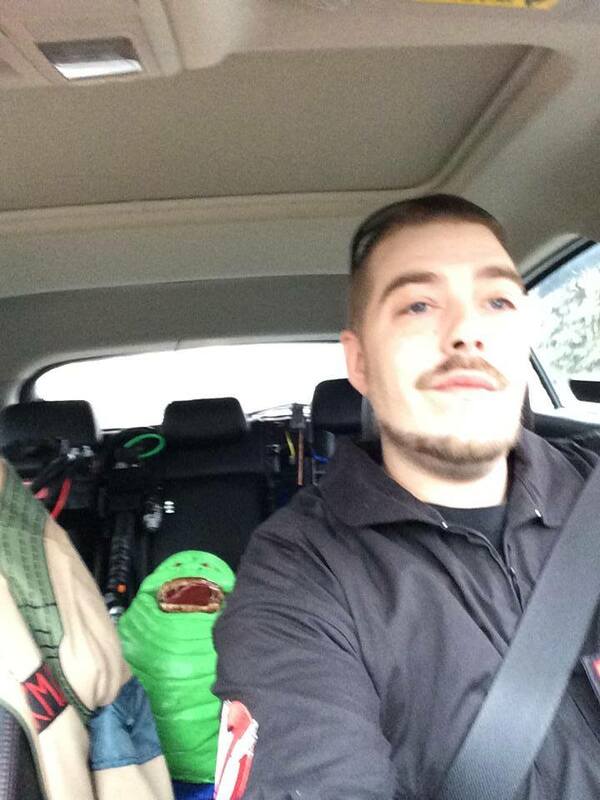 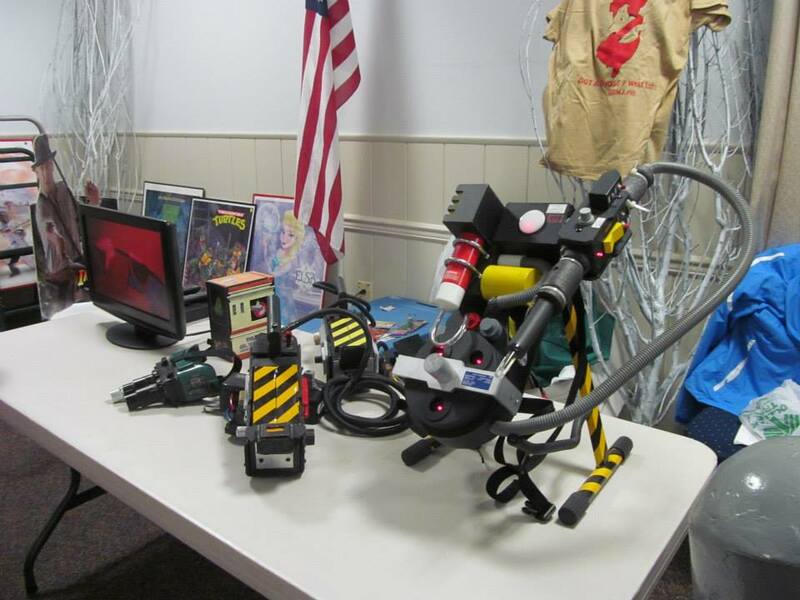 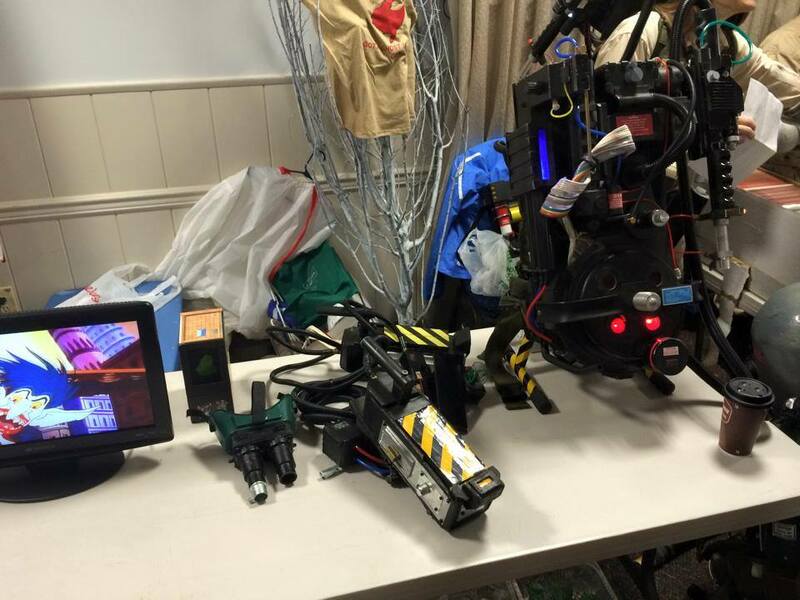 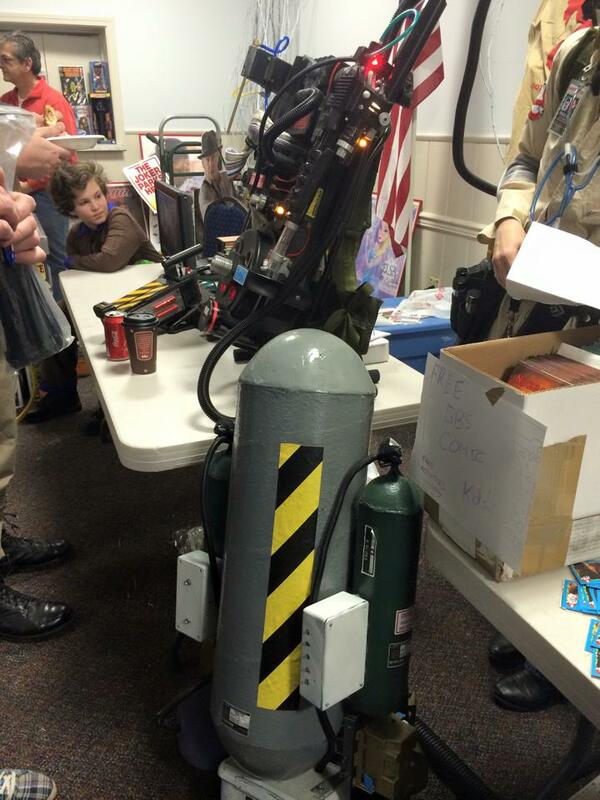 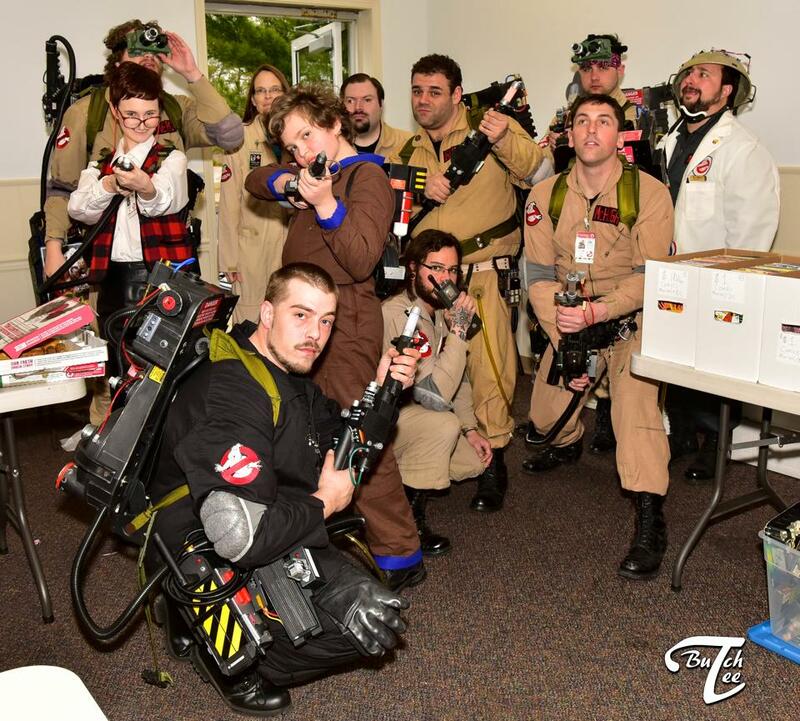 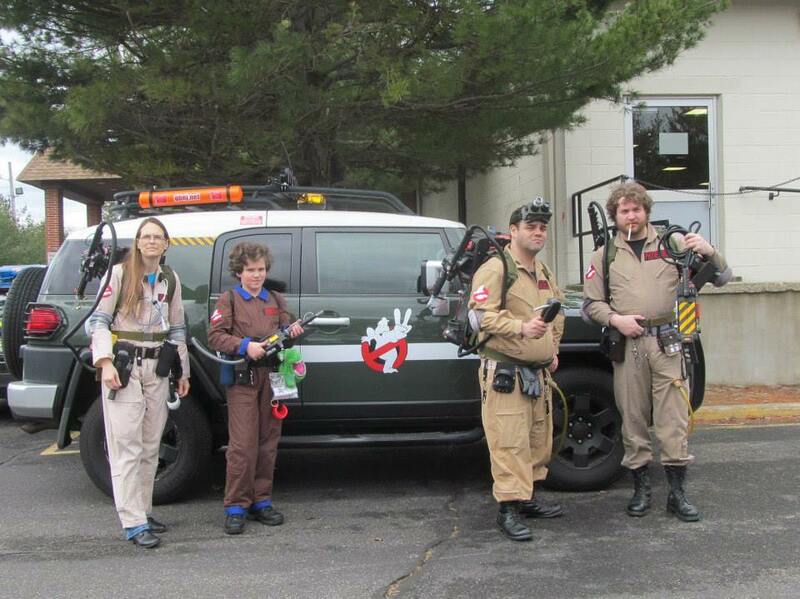 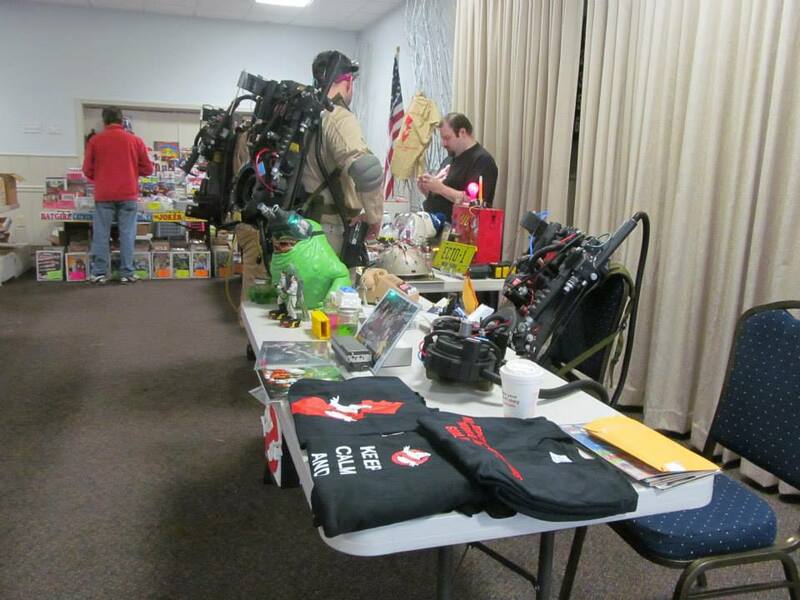 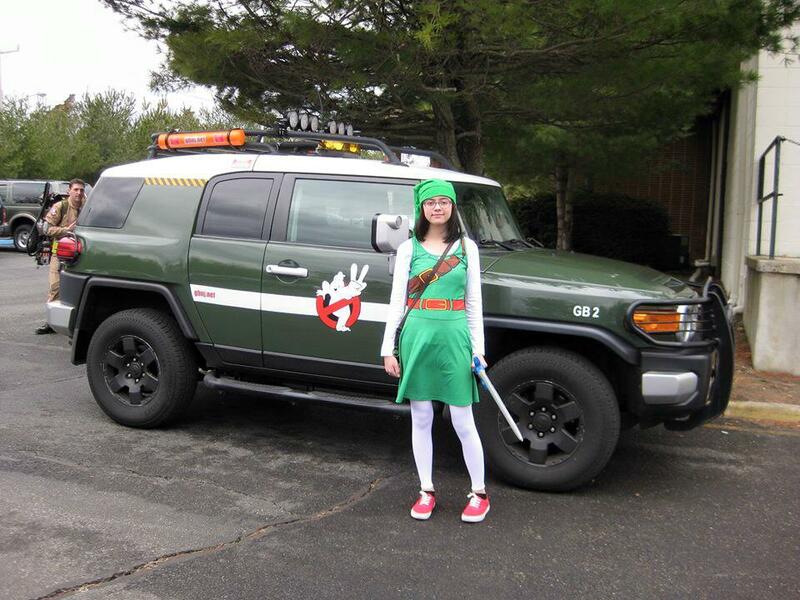 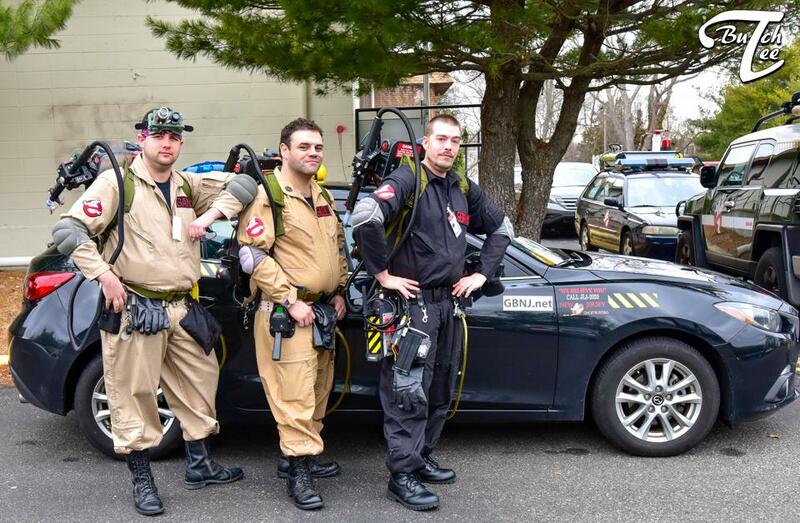 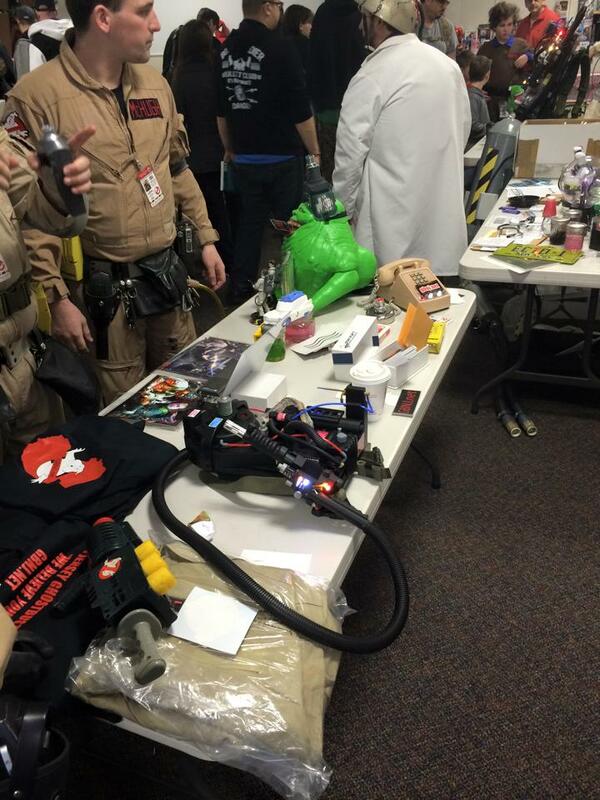 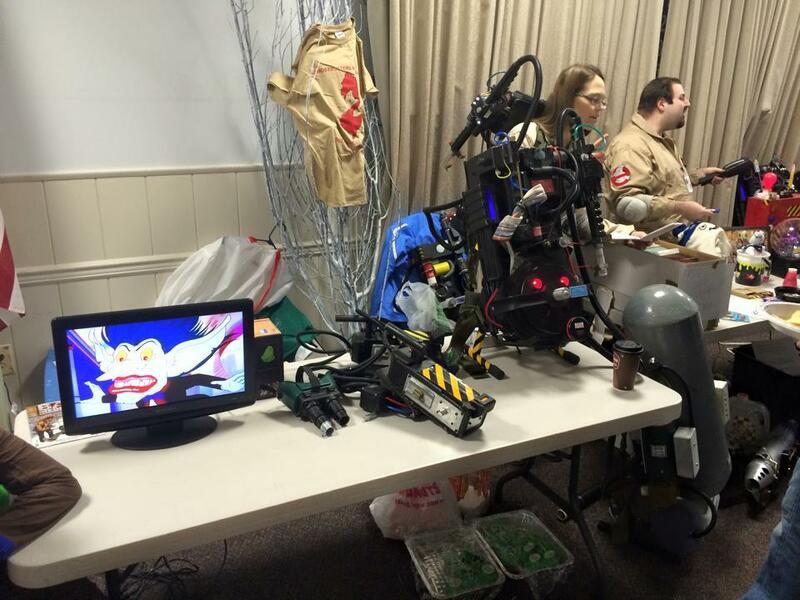 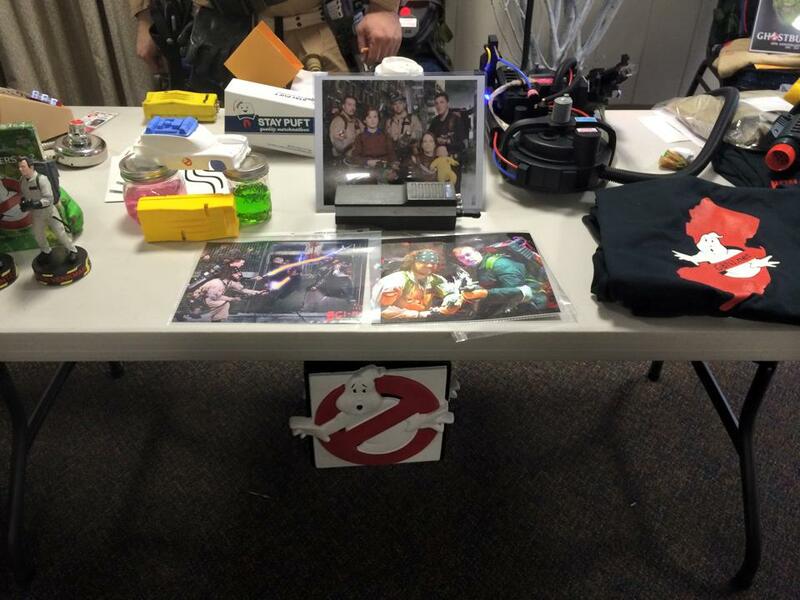 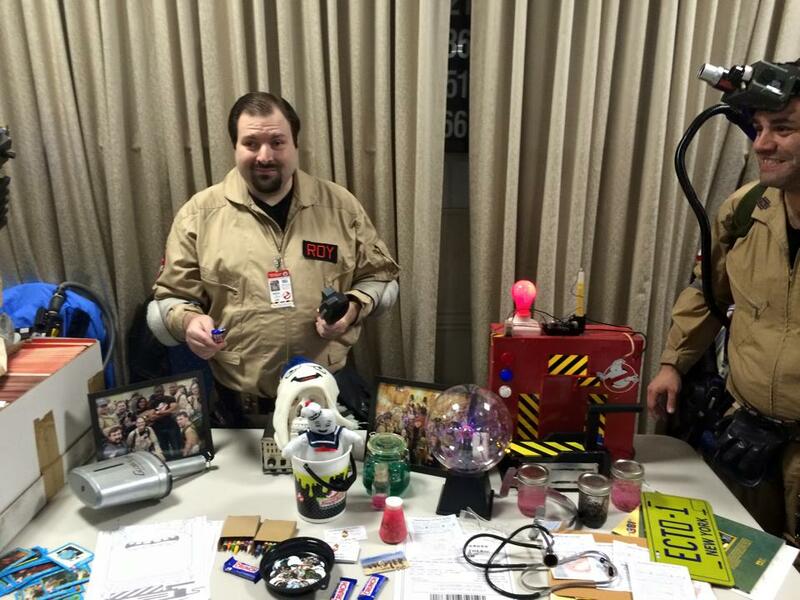 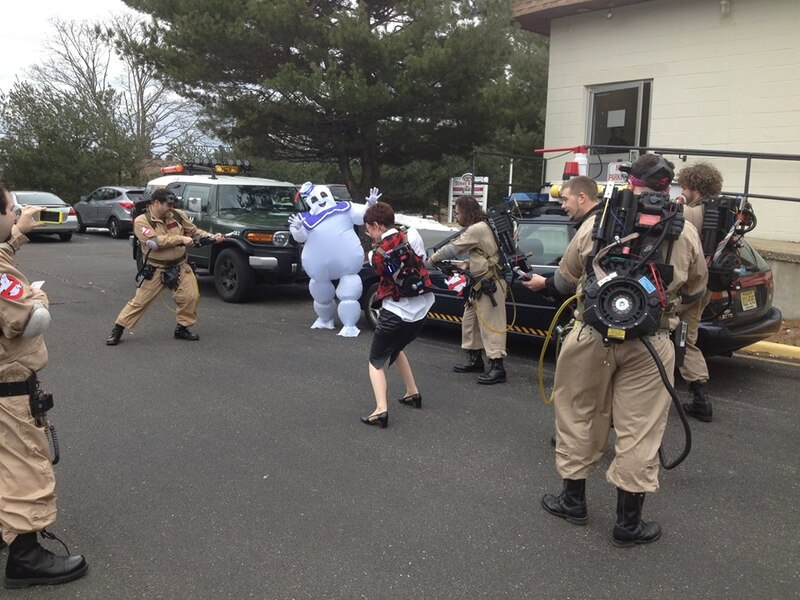 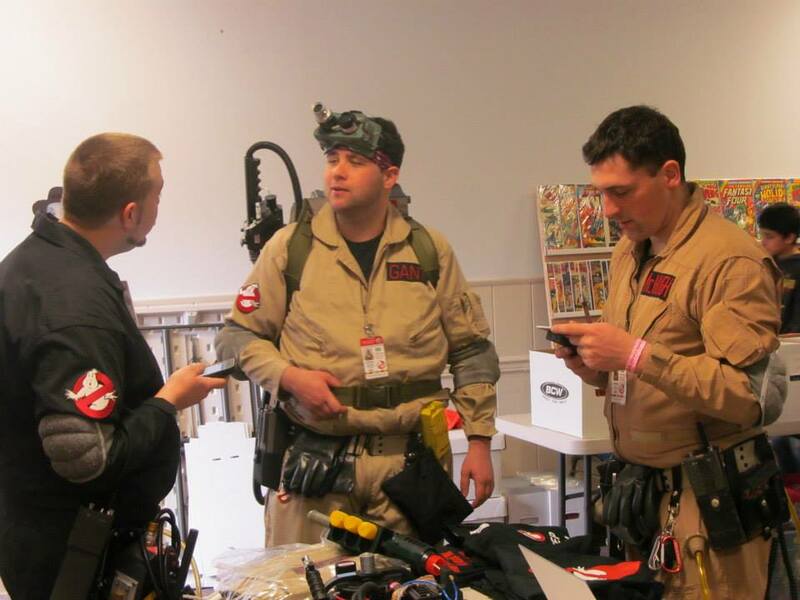 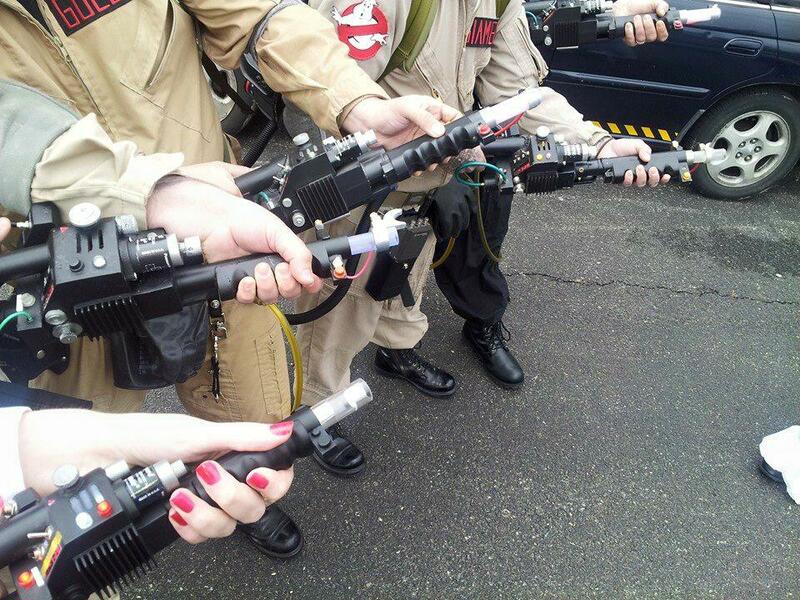 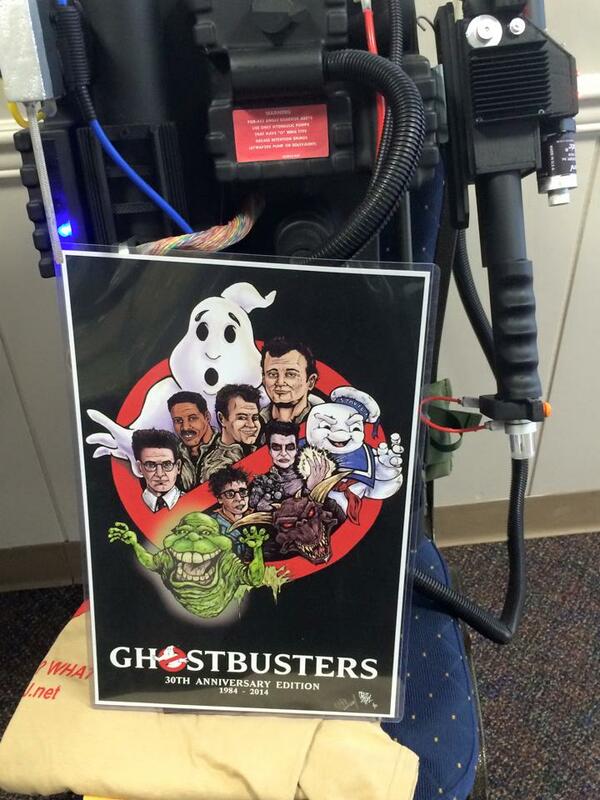 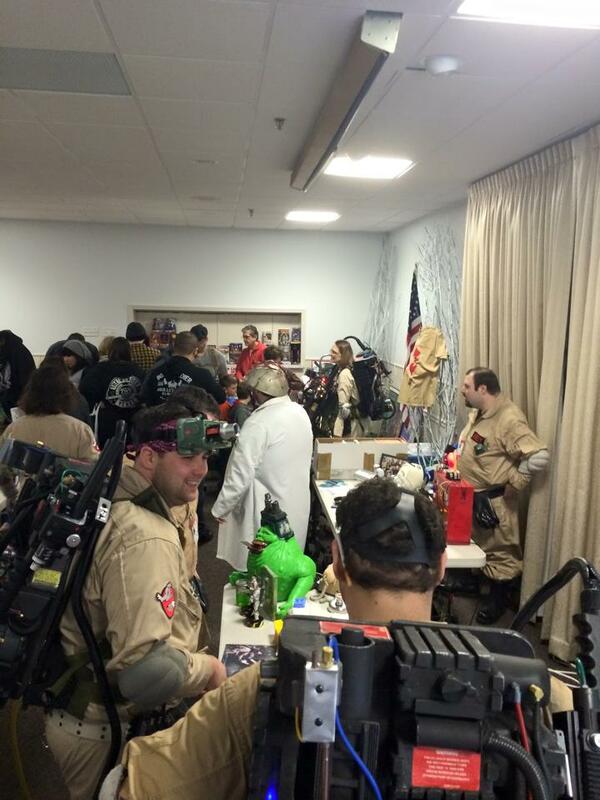 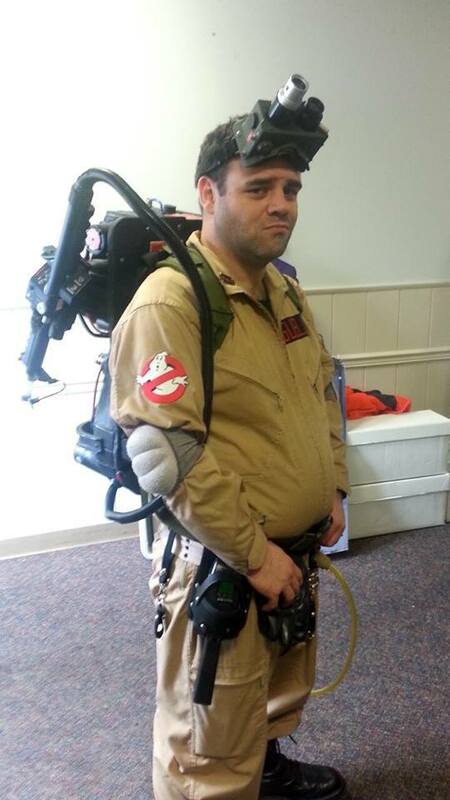 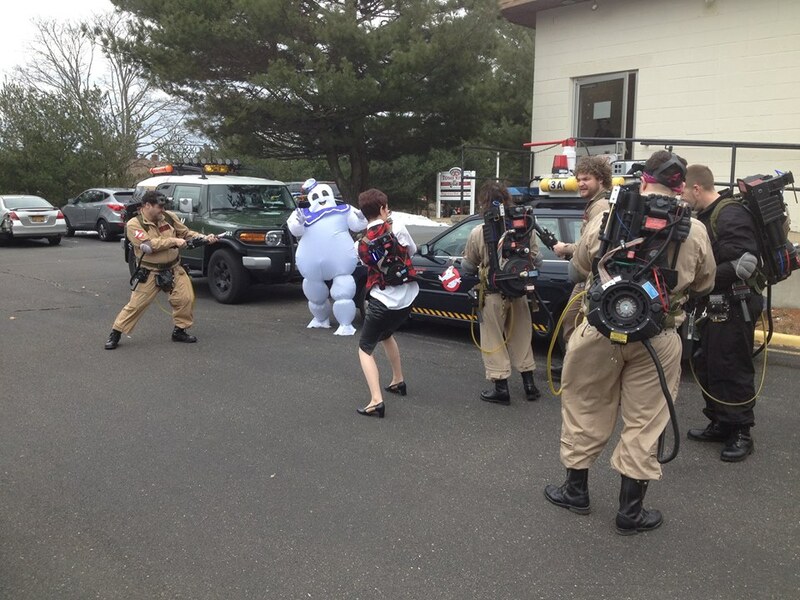 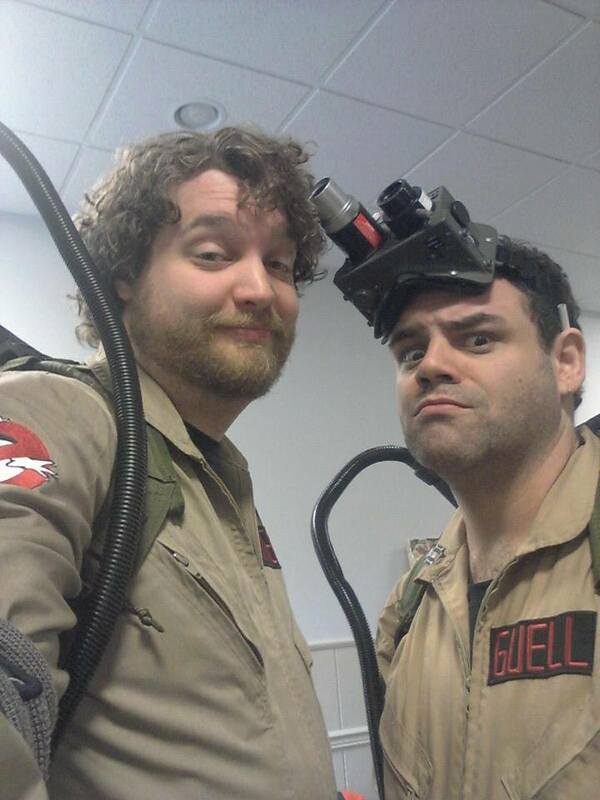 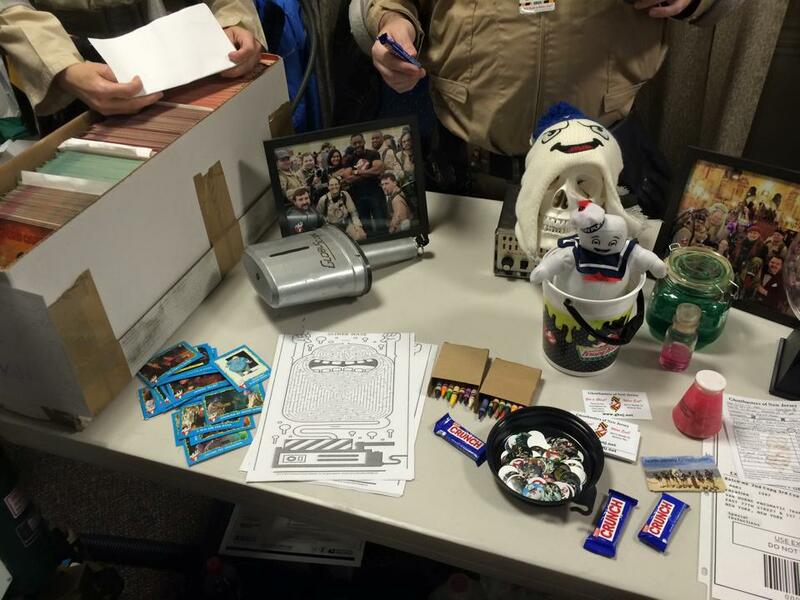 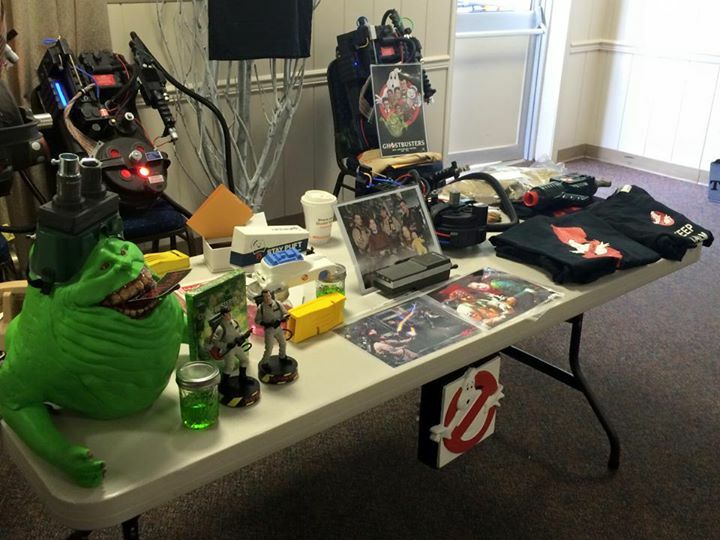 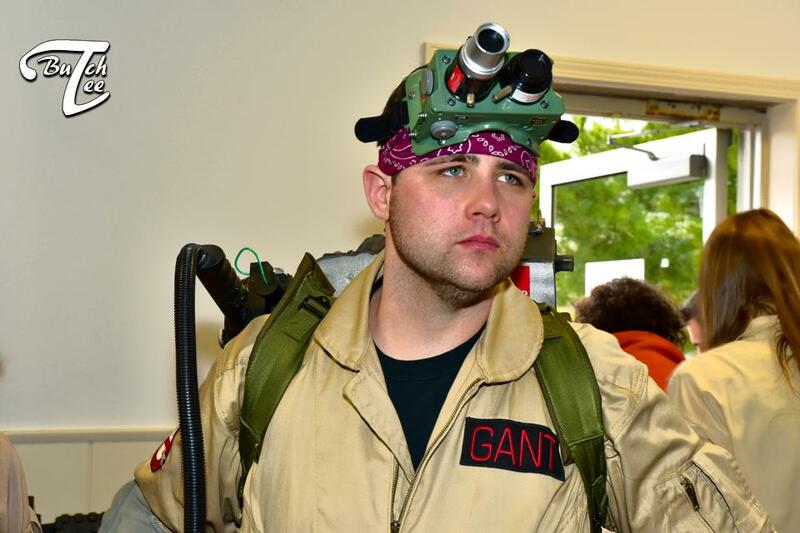 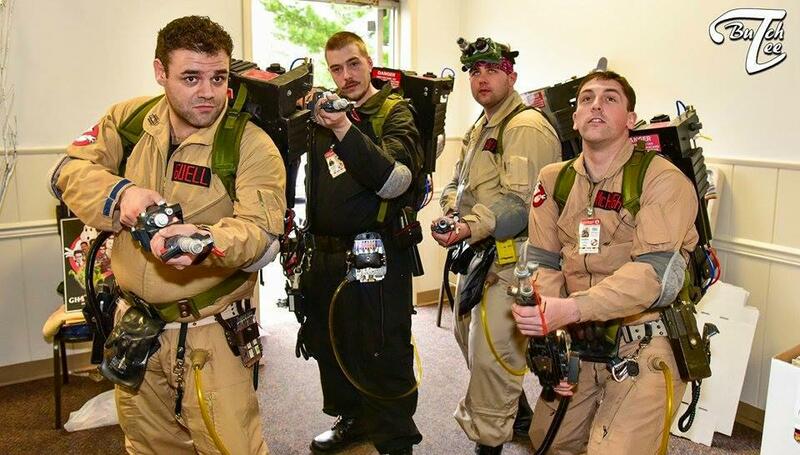 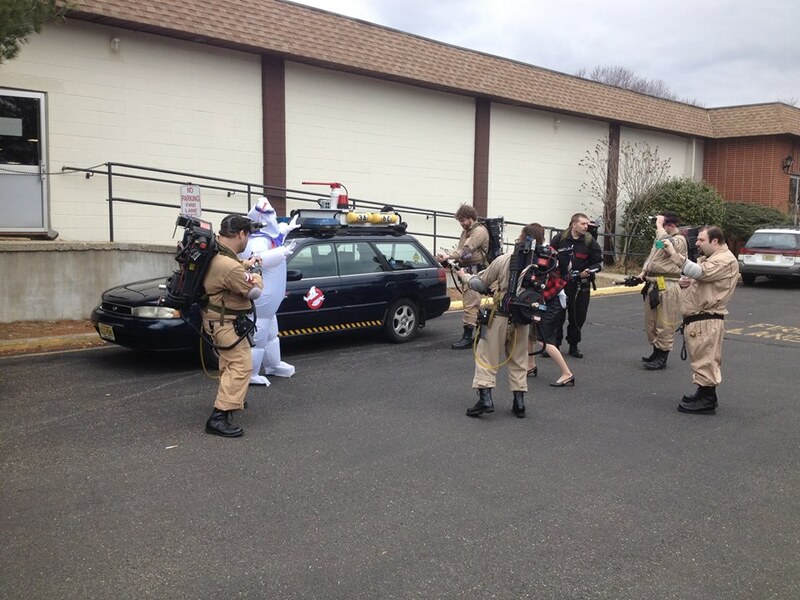 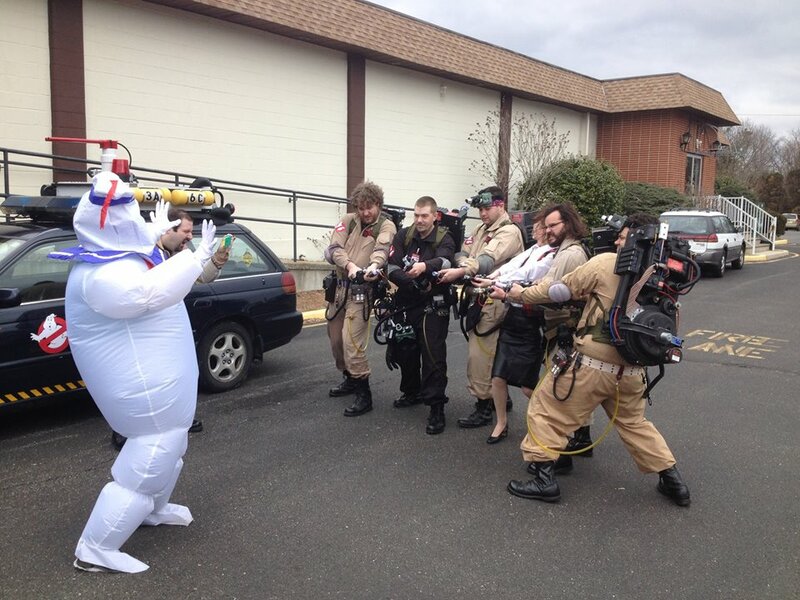 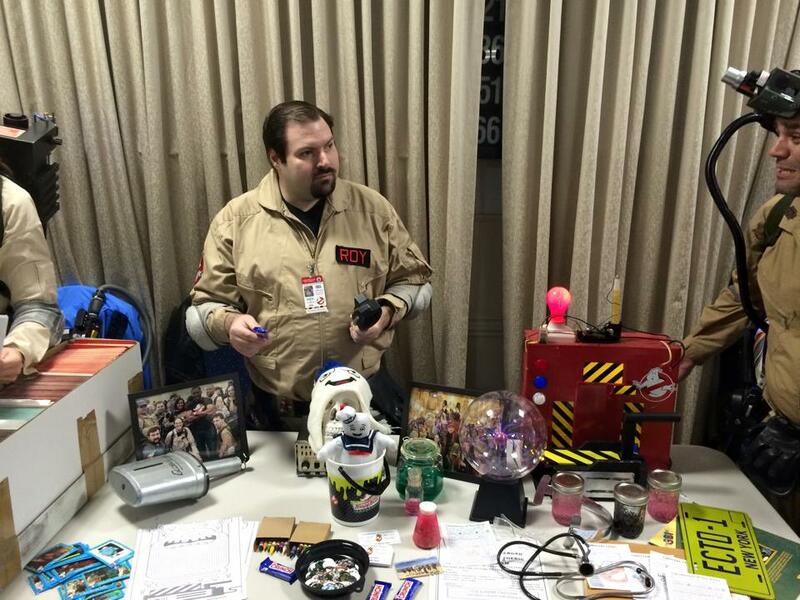 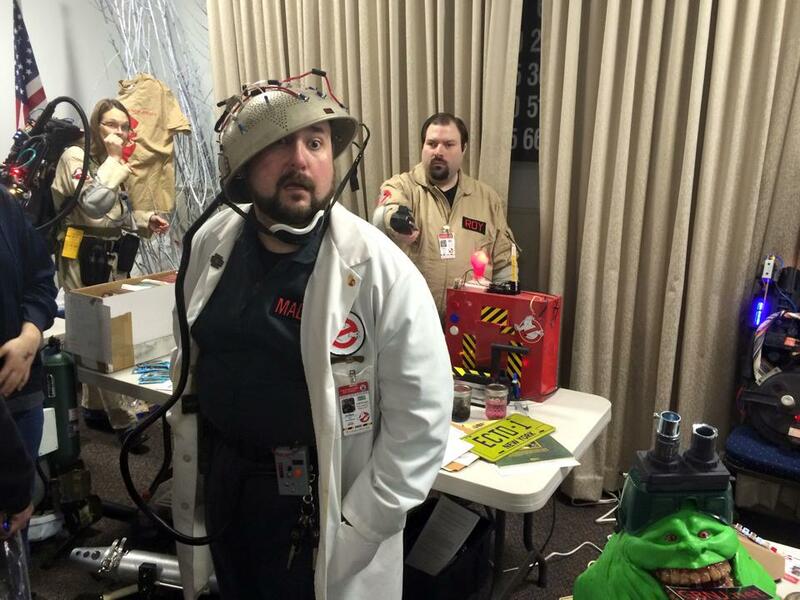 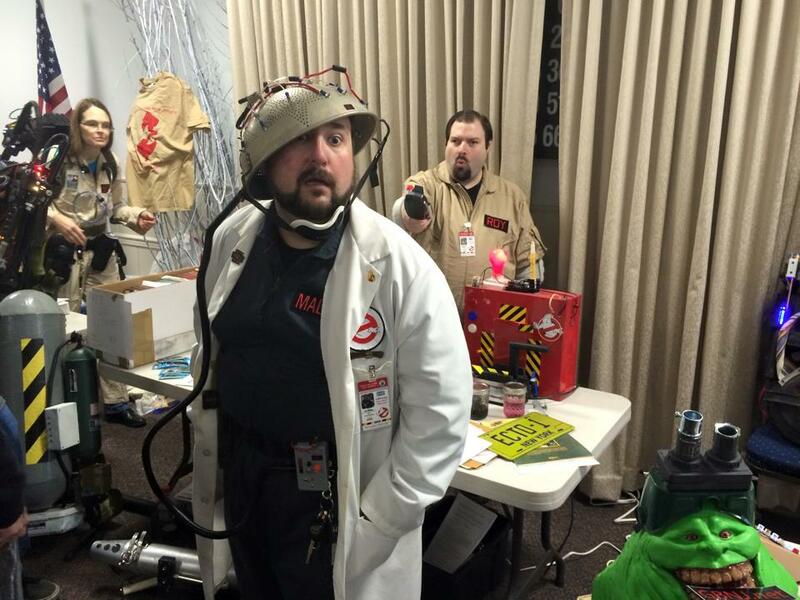 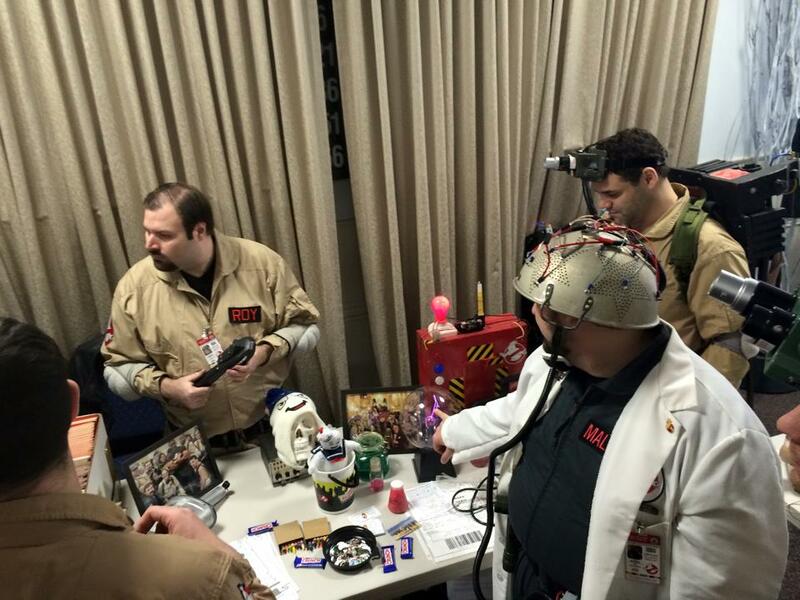 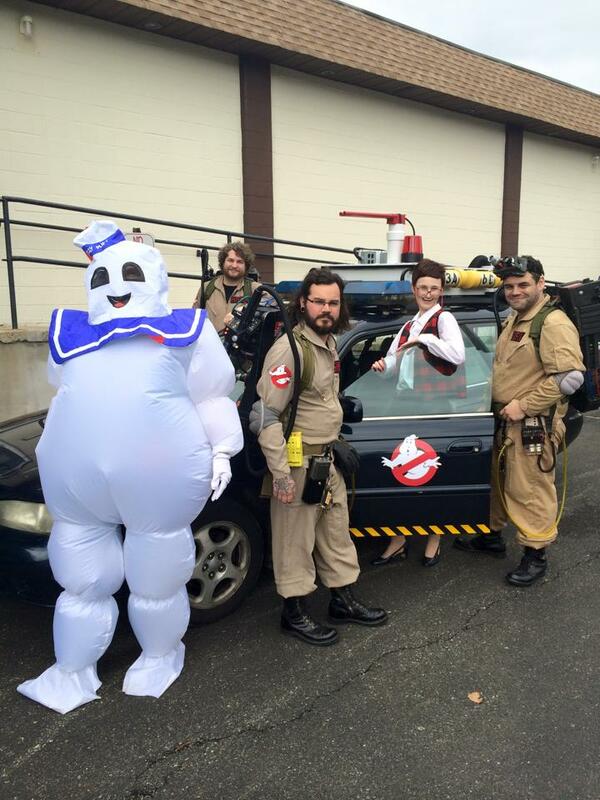 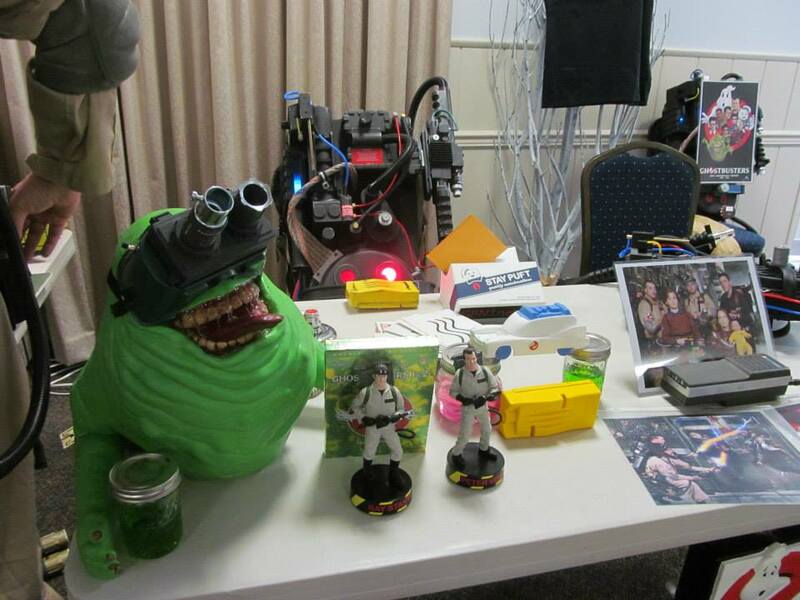 As we didn’t wreck an established Elks Lodge last November, Ghostbusters NJ was invited back. 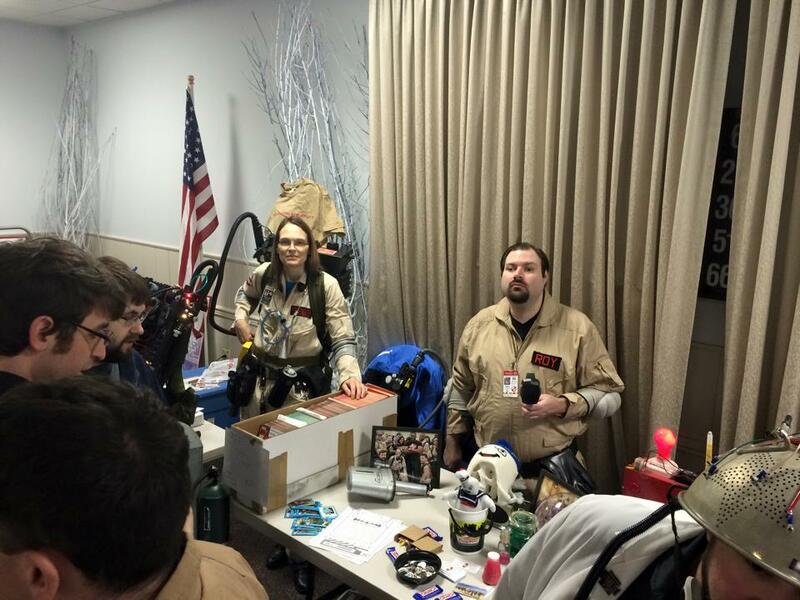 Not only that we had multiple tables to set up our mobile HQ. 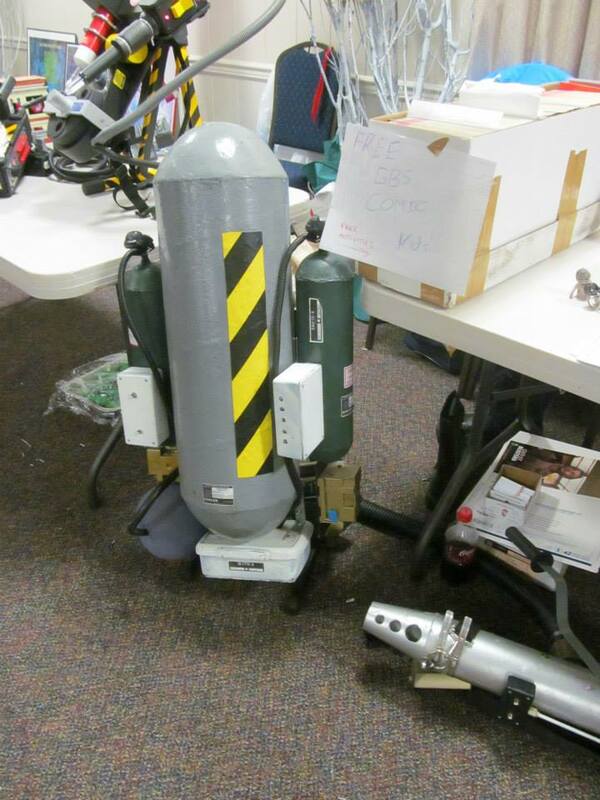 Which doubles nicely for display, educational, promotional uses, and more! 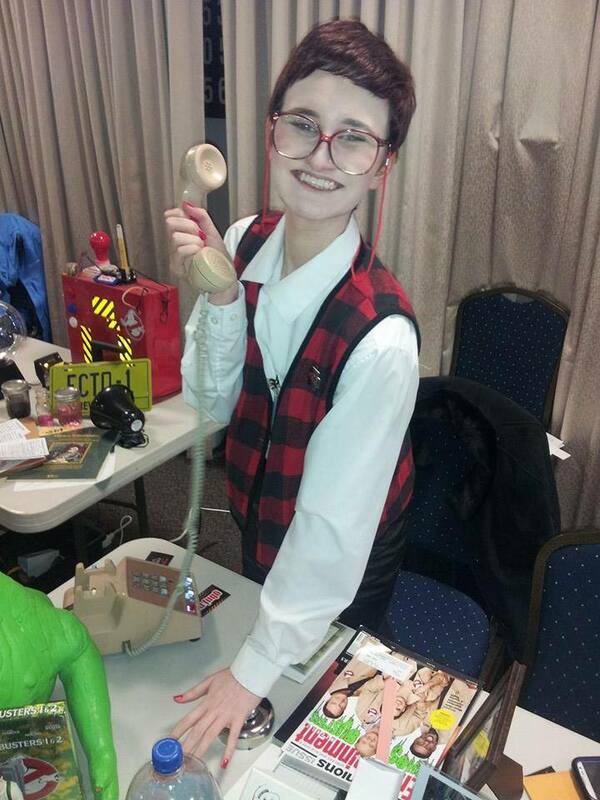 Janine recorded an idea or two we had, Janine’s Journal. 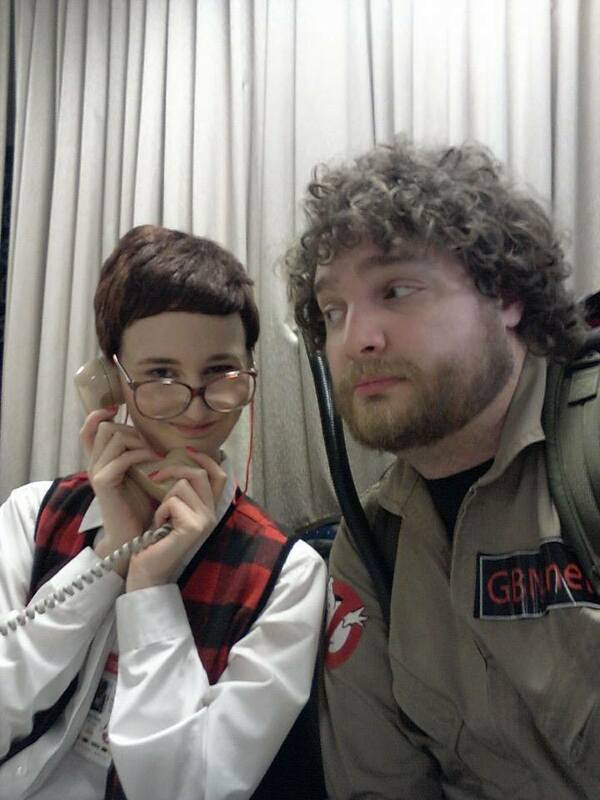 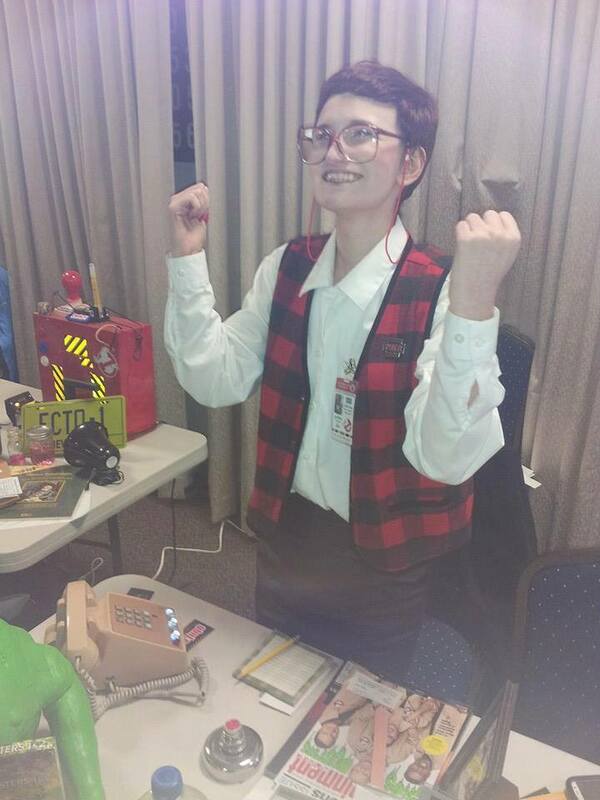 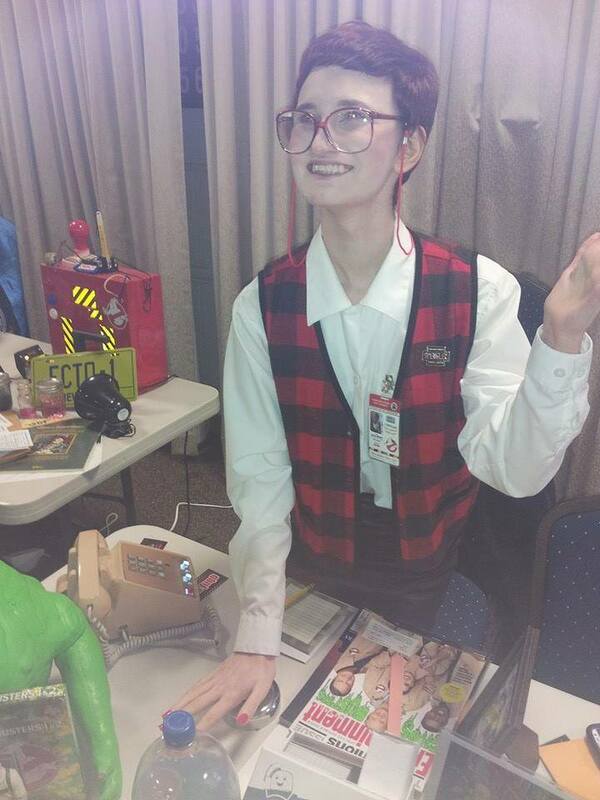 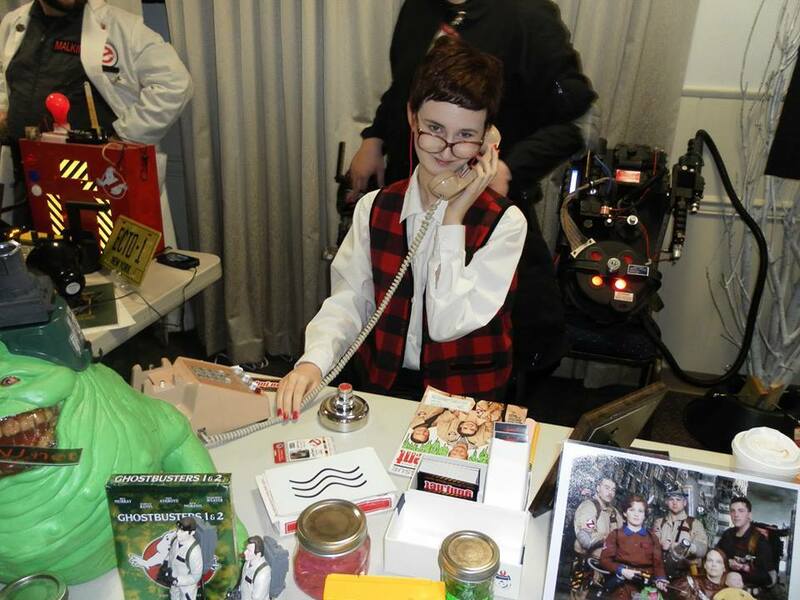 Its her insight into what its like to be the Ghostbusters receptionist. 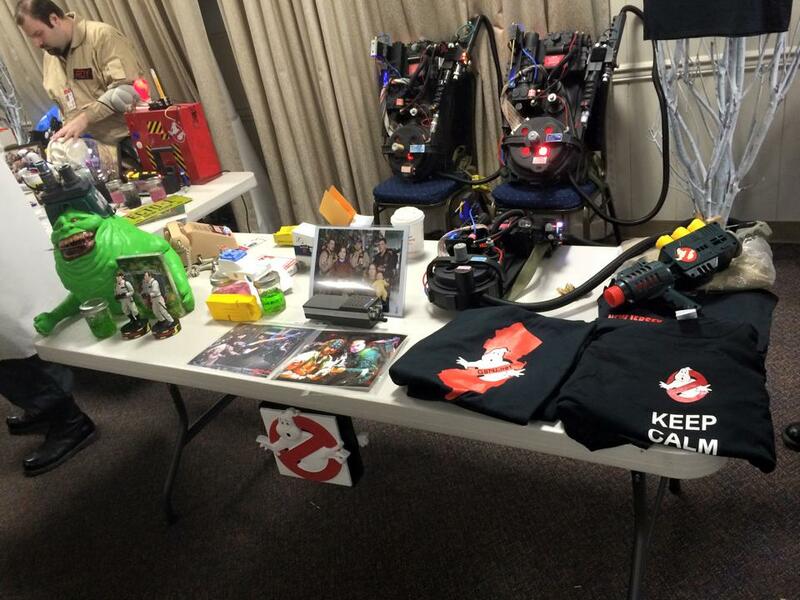 The call Janine took was actual con attendees who reported seeing a manifestation of a certain corporate mascot walking around, get this inside! 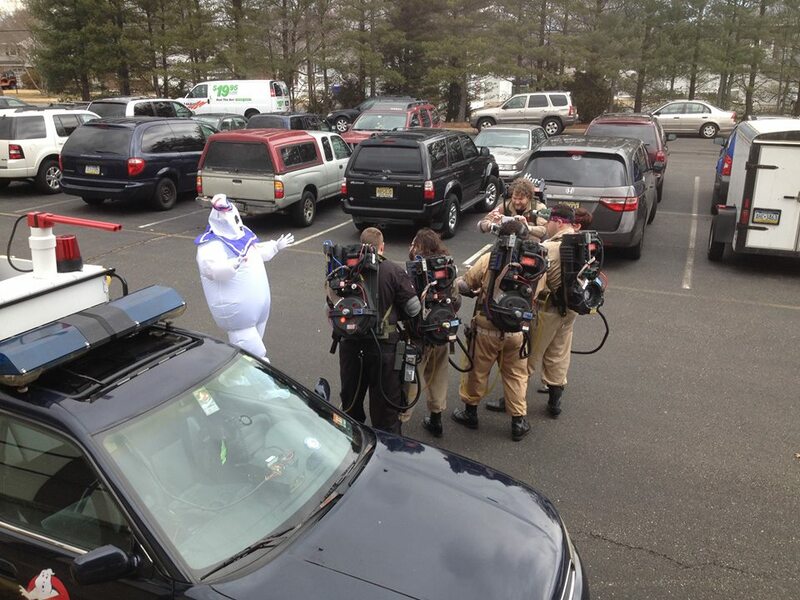 It wasn’t long before Ghostbusters NJ was making dessert for everybody. 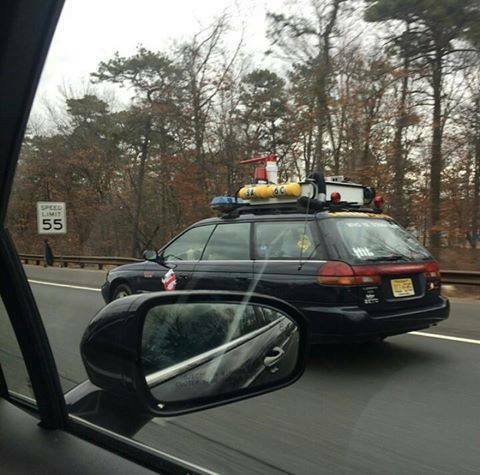 This may be evidence that could be used against us in court. 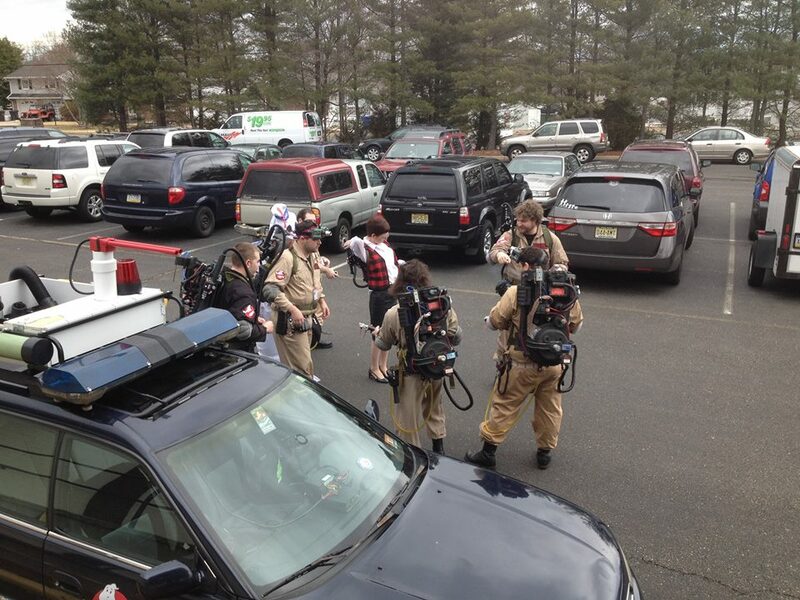 If you have photos of Ghostbusters NJ personnel either with you or from Jersey Shore Comic Book please let us know and/or share through at our Facebook page. 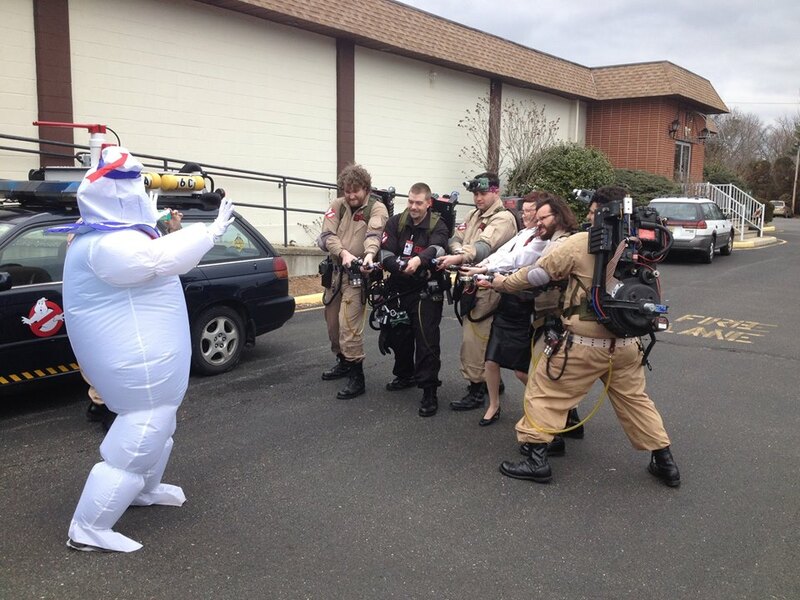 After saving District 2 from a Stay-Puft Manifestation we met photographer Buster Lee. 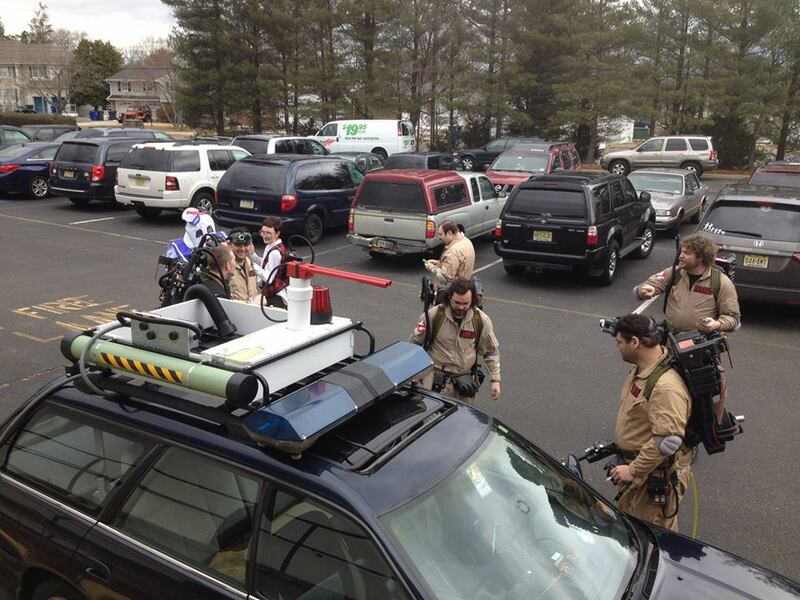 (Facebook) Where he took well professional photos of Ghostbusters NJ and our fleet of Ectomobiles. 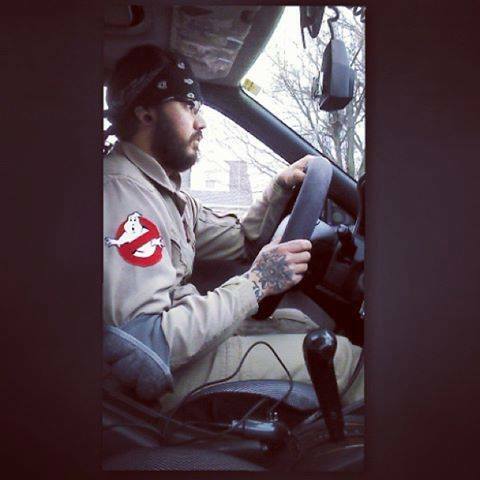 We’ll get to that a little later, (or scroll down if you’re that impatient) before we put the overtime in for a paranormal emergency we took our own Ecto pics. 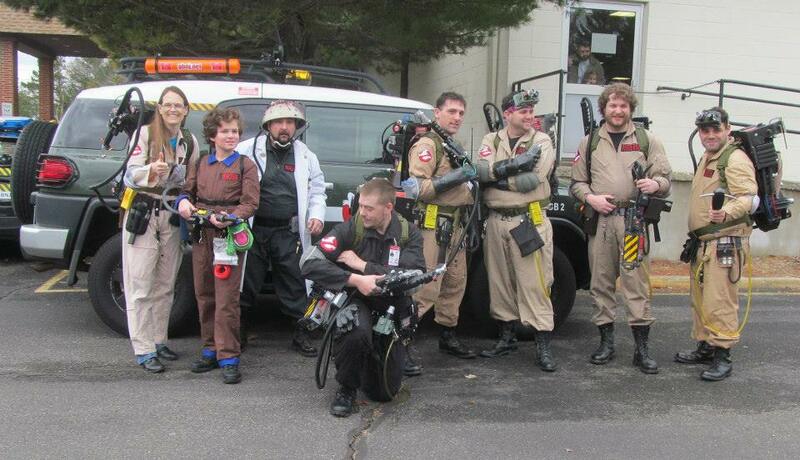 Butch Lee, (Facebook) way more professional then Ghostbusters NJ. 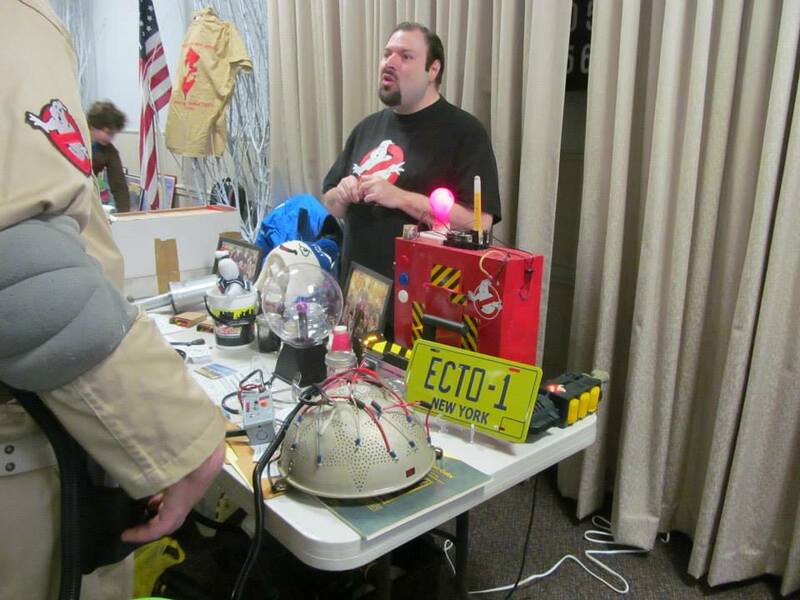 Scott Barnes who coincidentally (or not) lives in District 2 has a site (Facebook) and interwebs show called Geeks Against! 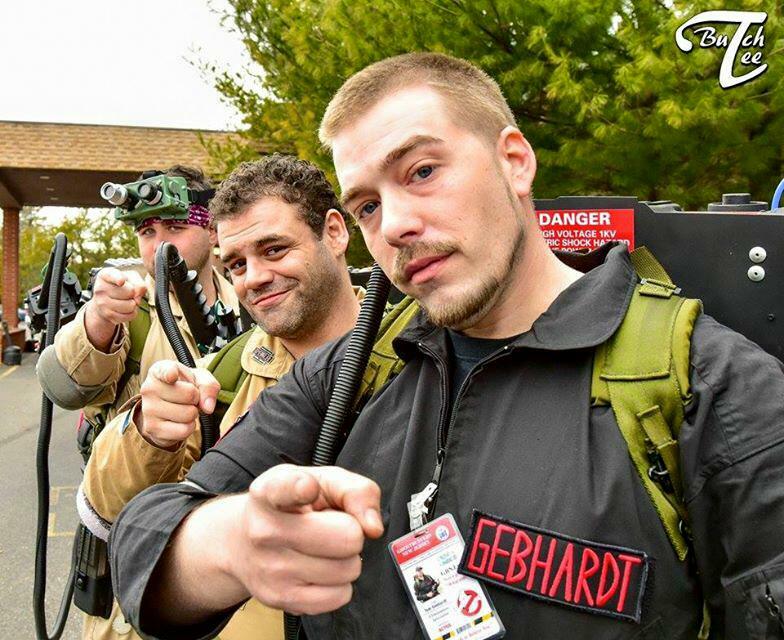 (YouTube) As a fellow Jersey ghosthead Scott interviewed Bill and I. We’re sorry for the inaudible parts due to Class II poltergiests.